You are here: Home › Daniel Swerdlow-Freed, Ph.D.
Dr. Daniel Swerdlow-Freed has been a practicing psychologist for over 20 years. He is dedicated to providing compassionate care to teenagers and adults, employing a wide range of treatment options acquired from his varied experiences in hospitals, clinics, and private practice. 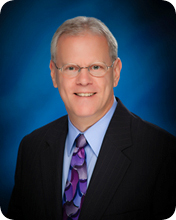 Highly regarded for his forensic psychology services and mediation skills, Dr. Swerdlow-Freed is routinely sought out by attorneys seeking trial consultation and expert witness testimony, or needing assistance with child custody disputes or cases involving allegations of sexual or physical abuse. In addition to his private practice, Dr. Swerdlow-Freed is an adjunct faculty member at Oakland Community College and has had psychology and forensic articles published in the Michigan Family Law Journal. He is a former President of the Michigan Psychological Association and former Chairperson of the MPA Ethics Committee.